Were there NanoStations on top of the Bush funeral train today? It looked like there were two facing backwards on the lead engine, several on some of the cars and perhaps a satellite uplink. Possibly was this done to relay live video of the train in motion? 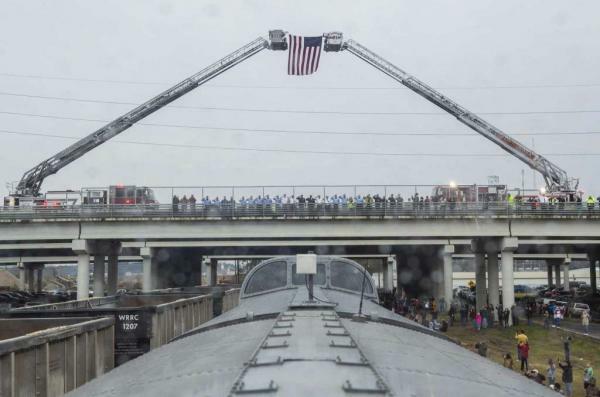 I noticed from a picture or two that when the train arrived back in Omaha after the funeral, the NanoStations (?) were gone.